Just two episodes into its run, SBS’s new drama “30 but 17” is already dominating its time slot! “30 but 17” is a romantic comedy about a woman (played by Shin Hye Sun) who falls into a coma at the age of 17 and wakes up 13 years later to find that she is 30 years old. After notably premiering at the top of its time slot on July 23, the drama’s second broadcast on July 24 not only maintained its position as the most-watched drama in its time slot, but it also enjoyed a significant increase in viewership ratings from the night before. 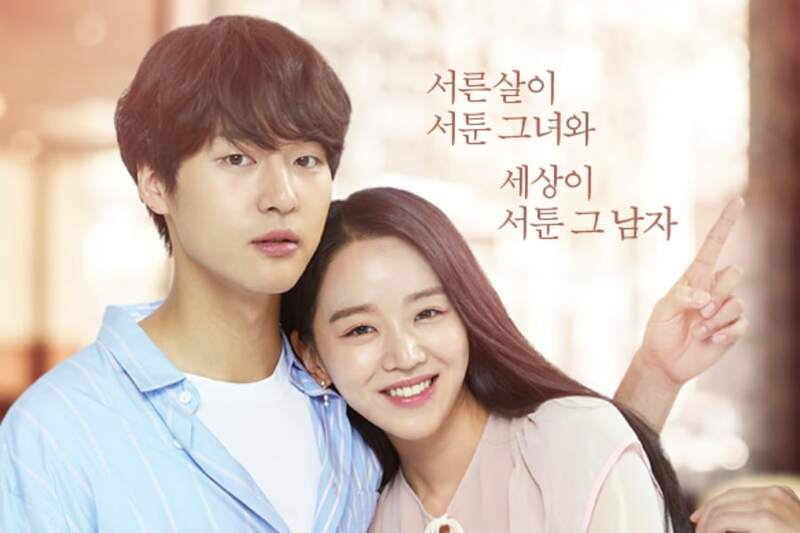 “30 but 17” boasts a pair of unique and eccentric main characters—after waking up from a coma, Woo Seo Ri (played by Shin Hye Sun) is forced to juggle a 17-year-old brain and a 30-year-old body, and Gong Woo Jin (played by Yang Se Jong) is a quirky loner who chooses to cut himself off from the rest of the world. However, the drama’s leads are far from being the only compelling characters on the show. “30 but 17” is packed with scene-stealing supporting characters, each of whom has a strong and memorable personality. Ahn Hyo Seop warms viewers’ hearts as the kind and cheerful high school student Yoo Chan, while Ye Ji Won piques their curiosity as the mysterious housekeeper Jennifer. Yoo Chan’s friends and Gong Woo Jin’s workplace colleagues also add spice to the show with their amusing and distinctive characters. Of course, in order for such colorful characters to come to life, a drama needs to have a talented cast. The actors of “30 but 17” have found ways to make their characters their own, pulling off their roles convincingly and allowing viewers to naturally immerse themselves in the world of the drama. Although “30 but 17” is a romantic comedy, there’s a mystery element to the show that keeps viewers guessing. Woo Seo Ri wakes up from her coma to find that her aunt and uncle have vanished without explanation, leaving her to wonder what happened to them and where they went. There’s also the question of the man who surreptitiously visited Woo Seo Ri while she was sleeping, as well as the veiled identity of the housekeeper known as Jennifer. It may not be obvious at first glance, but “30 but 17” is perfectly tailored to the summer season. In the midst of a swelteringly hot July, the drama’s cool-toned color palette and breezy background music are a welcome respite from the summer heat. The next episode of “30 but 17” will air on July 30 at 10 p.m. KST.